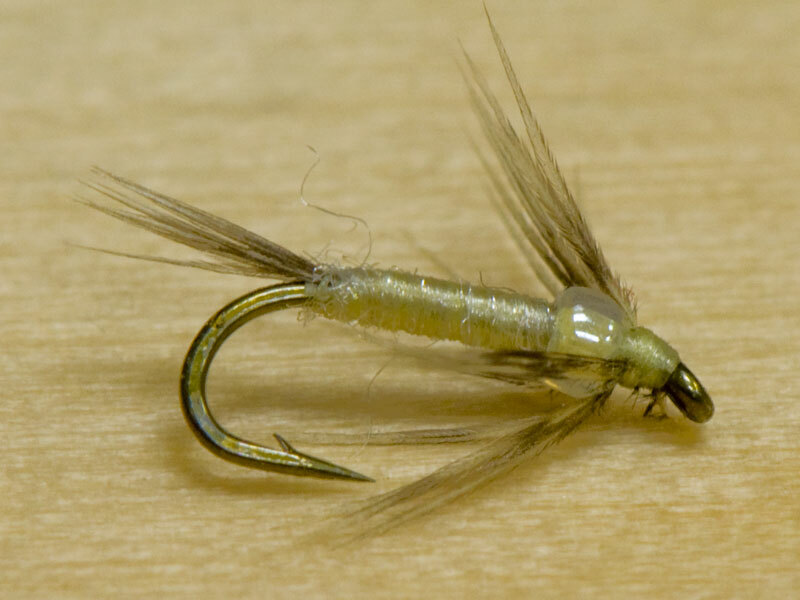 The No-Slip Mono Loop Knot is used for tying on bigger flies so they have a little more action. 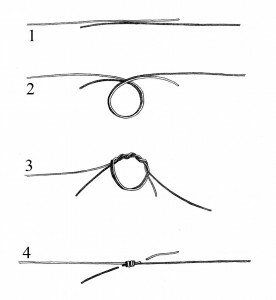 A clinch-type knot grabs onto the eye and constrains movement. 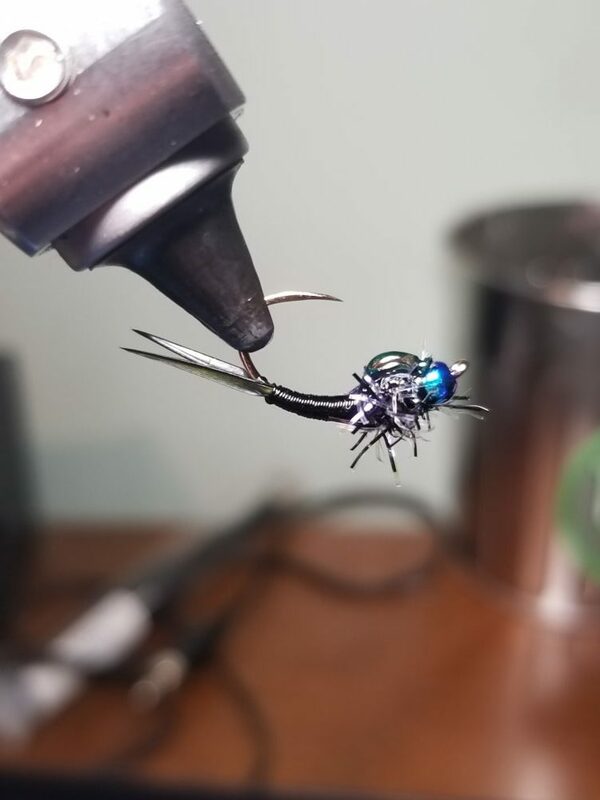 Sometimes a little more wiggle in your fly can make all the difference. 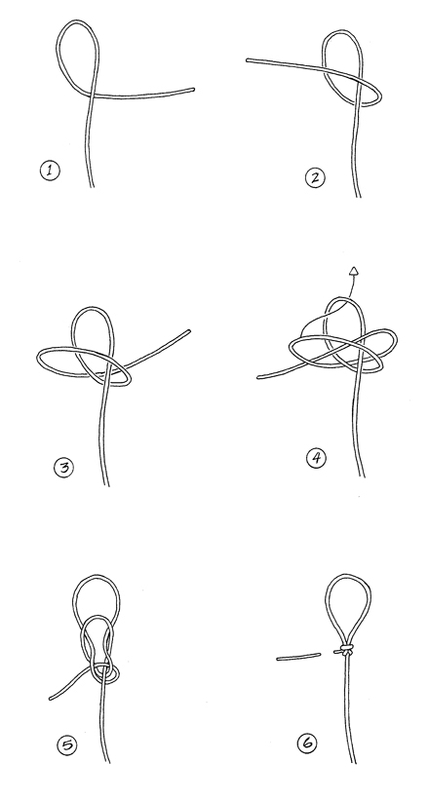 Start by tying and overhand knot in your line (before you thread it through the eye of the hook). Thread the tag end back through the loop in the line created by the overhand knot. Wrap the tag end around the main line 5-7 times. Thread the tag end through the overhand knot. Slowly pull the knot tight, while maintaining the loop size desired. Use lubrication if necessary. Once it is tight, clip your tag end.